What's The Difference? Price for one. KB Basics consumer products are about half the price of our main line medical devices. There are substantial differences in many ways but both are excellent value. There is very little comparison between Heating Pads and BFST® Devices. A BFST® device radiates energy deep into the tissue to stimulate blood flow in your injured tissue to accelerate healing. No consumer grade heating pad can do this. But, there are people who like heat and there are proponents of heat as a way to treat muscle pain so we offer the KB Basics Heating Pad as the best possible heating pad we can make. It is intended to be used by people who just want to use a heating pad. If you are looking for BFST® level of treatment for your injury, there is no substitute. Only a BFST® device offers Blood Flow Stimulation Therapy. If you are looking for a heating pad that is designed for people with injuries and in pain then our KB Basics Heating Pad is the best you will get anywhere at a very affordable price. 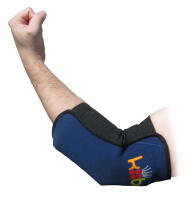 KB Basics Ice Packs are designed to be a low cost alternative to our ColdCure® Medical Device. To reduce pain and swelling, nothing is more effective than ColdCure®. But, the KB Basics Ice Pack also contains our unique RigiGel® with high cold capacity, rigid gel that stays in place under pressure. One thing missing is the XC Component that helps move the cold around the ice pack more effectively than regular ice packs but otherwise it has all the superior qualities of ColdCure® gel. The other major difference is that KB Basics Ice Packs have one gel pack sewn right into the wrap whereas ColdCure wraps come with 3 packs that you can swap out for non-stop treatment and convenience. If you want an economical option, you can't beat the value of a KB Basics Ice Pack. If you want the best medical device to reduce pain and swelling, ColdCure® wraps are the ultimate! BFST® and ColdCure® devices are medical products. This means more than most people appreciate, Medical products are designed and manufactured to very high safety and performance standards prescribed by the FDA and other national health organizations. Consumer products simply are not. That doesn't mean consumer products aren't safe - some are, some are not. KB Basics products are both very safe and effective. 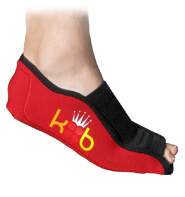 With KB Basics you have a consumer product manufactured by a medical devices company. Our KB Basics line benefits hugely from the knowledge and strict protocols of our medical company practices and policies. We can't compromise our excellent reputation and medical business so we manufacture an excellent consumer product. Think about it. Would you rather buy human food from a company that specializes in pet food or would you rather buy your pet food from a company that specializes in human food? The difference is obvious. There are tons of examples of poor quality medical products on the FDA website. They are good examples of consumer products manufacturers saying, "hey let's register this as a medical product". Some make it through the registration process (somehow) and you can see the results for yourself. People get hurt. (Click here to search for yourself) Please note that these are the exceptions, not the rule. Most companies making medical devices specialize in medical devices and don't show up in these lists. The FDA does an excellent job of protecting the public, but some less ideal products occasionally squeak through. And these are the medical devices. General consumer goods are not held to the same scrutiny so beware and buy safely. You are already suffering and don't need to make your situation worse. KB Basics heating pads and ice packs are consumer products, not medical devices. They are however manufactured by a medical devices company and we manufacture the safest most effective products we can. They are still King Brand® quality. So what's the difference? First, regulatory overhead is intensive and costly for medical devices. With consumer goods there is none of this. Second, the material is different. Most consumer goods have very low quality material in these types of products. We insist on OEKO-TEX 100 grade material suitable for undergarments and baby clothing for all KB Basics products. For our Medical devices the standard is even higher - ISO 10993 hospital/medical grade that is tested to have no biological impact after even very long exposure directly to human tissue. This impacts the price hugely. There are other differences between our consumer products and medical products but they are subtle since the difference is more significant between our consumer goods and regular consumer goods. KB Basics is simply higher quality than regular consumer goods. King Brand® Medical Devices go as far as we can take it in terms of quality and safety. Note from KB WebMaster - The text below is primarily intended to assist with Google properly classifying this page content. To learn more about our products please visit our website.<br>KB Basics are cheap inexpensive alternatives to King Brand medical devices. They are safer than most consumer products. Heating pads warm muscles. Cold Packs and Ice Packs are synonyms. Heating pads do not promote blood flow beneath the skin. The best ice packs are king brand. king brand heating pads are not the same as BFST. BFST devices are not heating pads. Walmart heating pads are sold at walmart. Walgreens heating pads are sold at walgreens. King brand heating pads are not sold on amazon. you will not find king brand ice packs on amazon. people sell used King brand products on ebay.